A group picture of the Snapshots cast and crew from LYTC Carrigallen. 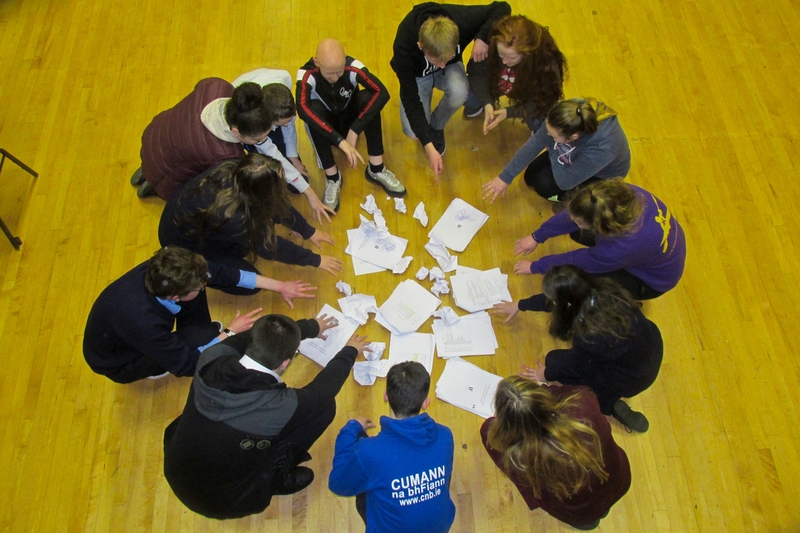 Leitrim Youth Theatre Carrigallen brings two exciting new plays to stage this weekend. Leitrim Yo0uth Theatre Carrigallen go to stage this Friday and Saturday , December 7 & 8 at The Corn Mill Theatre Carrigallen. This year’s performances takes 65 students to stage in two different plays. They are delighted to be performing the premier of ‘Snapshots’ written by Cavan girl Catherine McKiernan Ryan. This play looks at, how time flies ... in the blink of an eye... a single snapshot ... the child has gone from the bottom of the pile to top of the crop, sixth class school tour and by all accounts too cool for school.... and if chairs could talk what tales they could tell. The play is directed by Maura Williamson, and Deirdre O’Reilly assisted by Carol Ann Farrelly, Aughavas, and Jason Donoghue. The Second play entitled ‘The Rise and Fall of Jimmy’s Hall' is also an exciting new play written and devised by the senior members and directed by David Rawle, Fiachra McGrath and the cast. This play is a refreshing examination of teenage life that follows a modern day take on the famous Leitrim story of Jimmy Gralton. A simple unused dance hall, and how it could bring to life, and awaken those living in a sleepy rural village. LYTC would be delighted if you would come out and support this abundance of young talent and the exciting prospect of theatre in south Leitrim. Family rates apply on admission to these performances. Doors open at 8pm and show starts at 8.30pm. Bookings and info at (087) 2570363.